Welcome to November and another week here at the Kraft Journal. For this first week in November we have a fun challenge - Critters! We want to see how you use all those cute little fellows. Take a look at the many interpretations of this theme from our designers. For this week's "Critter"Challenge, Tammy started by cutting a fawn using her electronic cutting machine using Light Kraft Cover Weight, Brown Kraft Cover Weight, and Blackboard Stock Paper. The cardstocks at The Kraft Outlet cut very well with all electronic machines. She then used Brown Kraft Cover Weight cardstock to create an A2 card base. She cut a circle and a wavy circle from patterned paper using her manual die-cutting machine. She then added them to the left of the card front trimming off the excess. She took a length of the dyed Butter Biased Tape leftover from this project and wrapped it around the top of the card front and tied in a bow embellishing with a flower. Last, she stamped the sentiment in the lower right corner with Vintage Sepia Ink adding a stamped mushroom and enamel dots for a finishing touch. For additional pictures and a complete supply list, please visit Tammy at Creating Somewhere Under The Sun. 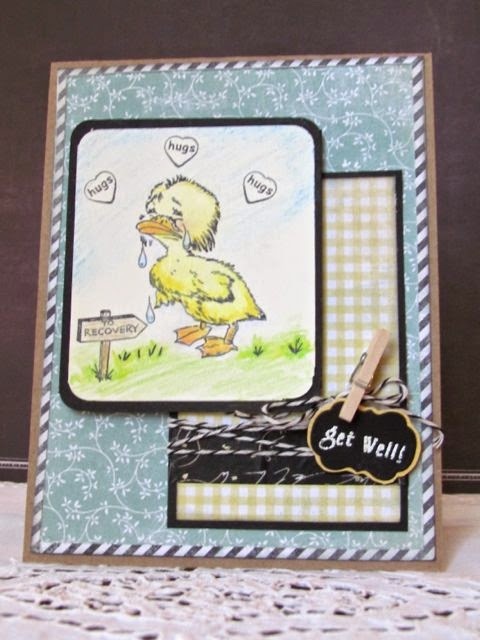 For this week's challenge Anitra has used a little duckling for her critter! Using a Lunch Bag Kraft Cardstock as her base, Anitra matted some patterned paper. 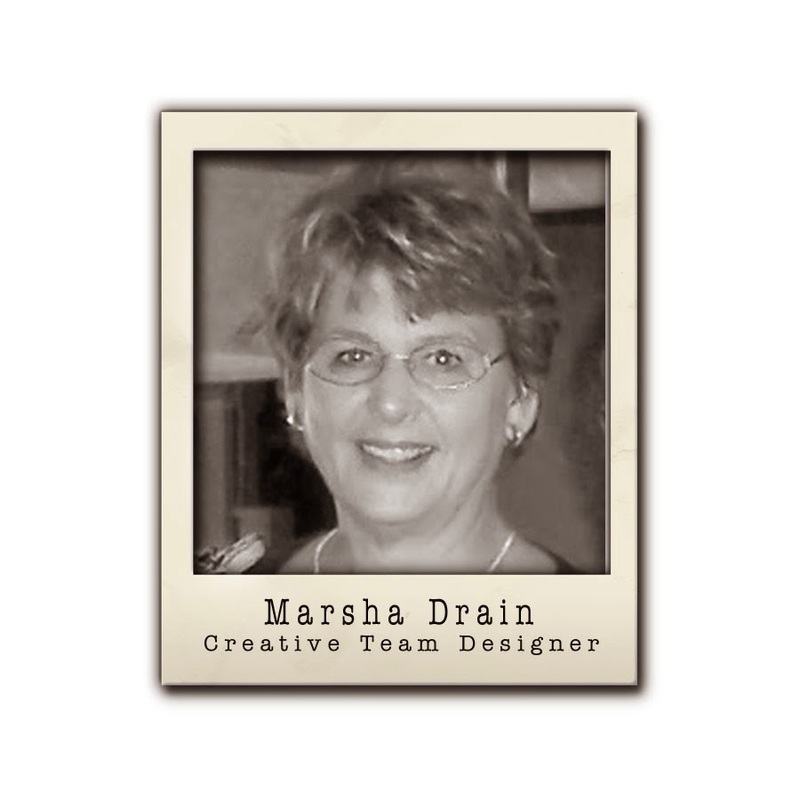 Next she stamped her image onto some Buff Ivory cardstock. Using some colored pencils she colored in her image to create a scene. Because of the amazing texture to the Buff Ivory cardstock the color blended beautifully. She then matted her image with some Blackboard Stock paper. Anitra then matted some gingham yellow paper to more of the Blackboard Stock paper. Next she added some Black Baker's Twine and Black & White Script Washi Tape before she adhered the piece down. The Kraft Outlet offers a variety of baker's twine and Washi tape perfect for any project! One of Anitra's favorite embellishments to use are the Mini Wooden Clothespins. These make a great way to add a tag or other embellishments and also come in a variety of colors. Anitra added s small tag made from more of the Blackboard Stock paper and embossed her sentiment. For more information on Anitra's project, please visit her blog: Stamping While They Sleep. 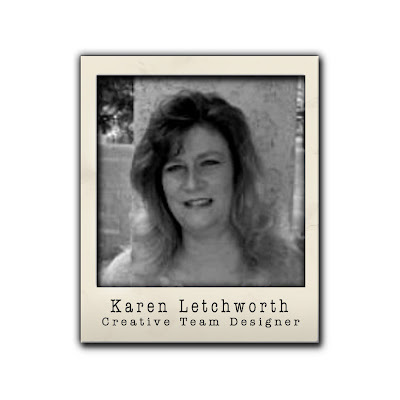 To be perfectly honest, DT Member Karen Letchworth struggled a bit with this project. She wanted to make a turkey (for Thanksgiving), but she ended up with what she calls a "Churkey". That's a chicken and a turkey combined (LOL). She used some great Kraft Outlet products to create her "Critter" for this week's Critter Challenge. 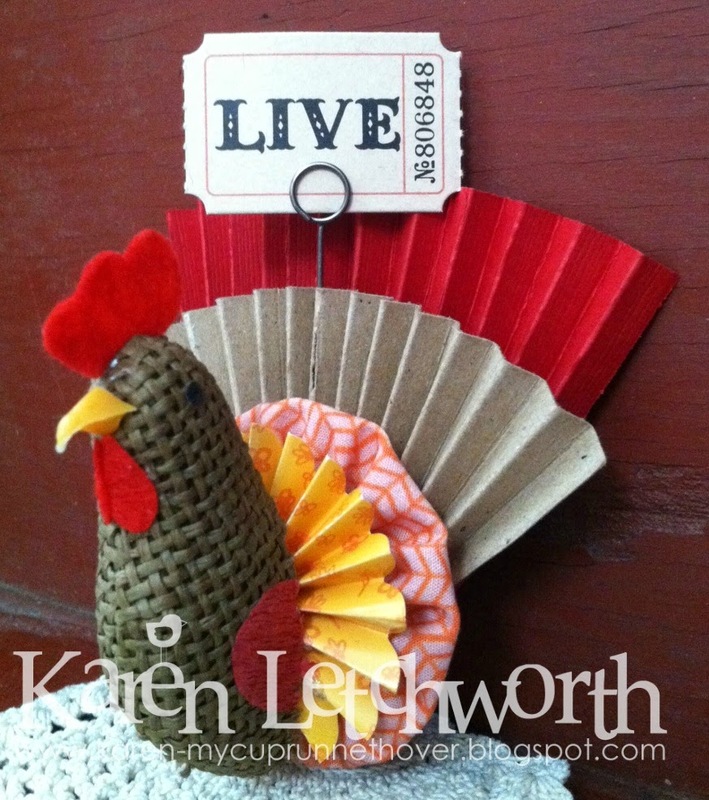 She used red and Brown Kraft Cover Weight Cardstock to create the fans. She cut the Cardstock into strips; and then using her Bone Folder Tool, she scored lines into them and then folded the cardstock pieces to create the fans. She hot glued everything together (including the chicken head). 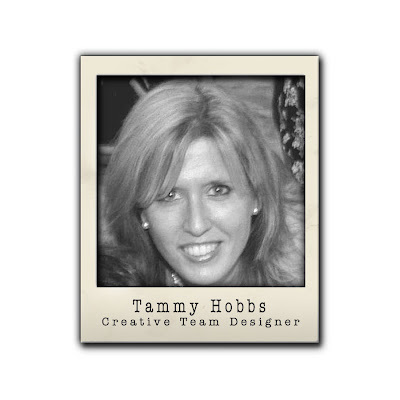 She added a Tim Holtz Journalling Ticket (Live) that is held with a Tim Holtz Memo Pin. For additional information on her "Churkey", you're welcome to stop by Karen's Blog, My Cup Runneth Over. 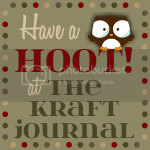 Karen also hopes you will create a special project for this week's Critter Challenge by treating yourself to some great new Kraft Outlet goodies, and then linking up with us!